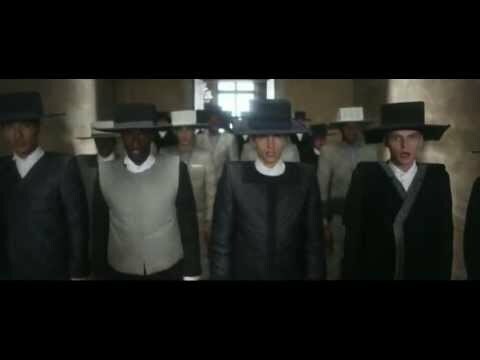 In this aesthetically pleasing film, created for the 2013 CFDA Awards, male models showcased the collections of Thom Browne, Michael Bastian and Duckie Brown while singing Daft Punk’s Get Lucky. The three designers were nominated for the CFDA’s “Menswear Designer of the Year” but it was Thom Browne who took home the award. Thom’s award winning collection featured in the video. Was it the best rendition of the song? Probably not. Their blank stares were a little unnerving, but who doesn’t love a man who is multi-talented? They can model and sing. Either way the near 70 male models who appeared in the video made up for it.